Previously The Nation reported and yesterday, August 10th Bloomberg confirmed, that former intelligence officials looked at the actual computer forensics of the Clinton Email Server and DNC leaks released by Wikileaks and concluded that the data was stolen by someone inside the organization. This contradicts claims made by the DNC, the Clinton Campaign and intelligence community security researchers hired by them in lieu of the actual FBI or NSA. The claims made by the Nation's sources are 99% solid. The final 1% will not make the other 99% less solid. What the Nation, and by extension the follow on reporting missed, was deliberate undereporting of facts and events presented both here and in other publications that reinforce rather then harm the narrative they have made an editorial commitment to. It is a narrative that this reporter has held from the beginning. The claims are basically two-fold. The first is that there is no way that the stolen data could have been transferred at the speed it was over long distances. The second was that the data, provided by the DNC and the Clinton campaign, had been cut and pasted into Microsoft Word documents that had been created on Russian language computers. The first claim is simple to understand, provable and 99% right. The forensics experts that were permitted to look at the actual rate of data transfer determined that it happened at a rate of 23 megabytes per second. That is faster than data can be copied across oceans even with the fastest internet. The forensics experts are mostly correct save one caveat. If one used the direct dedicated connections between Lawrence Livermore, the Large Hadron Collider and/or other science specific separate backbone networks one might get a better data transfer rate to the other side of the world. I've seen it done by a graduate student. It involved arrangements with another graduate student at CERN and it would have left a huge data trail that would have been instantly detected. Since the headline that morning did not read “Russian Hackers Compromise Nuclear Weapons Production Facilities in Oak Ridge Tennessee” we will assume this did not happen. That possibility is the unaccounted for 1% and makes the certainty that data transfer from the DNC to Russia did not happen. 23 megabyte per second as a data transfer rate is very consistent with copying files to a thumb drive. 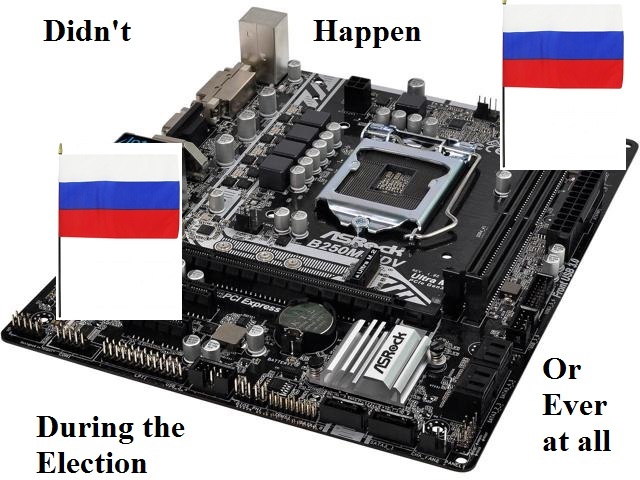 This would mean one of two things, either the Russians snuck into DNC headquarters and stole the data, twice or even thrice, or it was an inside job. The right wing so-called journalists are hanging their hats on the identity of the leak, rather than hacker, being Seth Rich. This is too easy, too cheap, and they always seem to link it back to Hillary Clinton having people shot since the 1980s in a proof challenged narrative that includes Vince Foster. This is not good journalistic craft. The death of Seth Rich was a very suspicious event. It was covered here within 30 hours of it happening. The coverage at the time by this author suggested a completely different motive for his murder, and that was Rich as potential witness as opposed to Rich being murdered as a leaker. The truth is that there was so much corruption and illegality going on in his workplace the Rich's murder has more possible motives than partisan theorists. The fact that evidence has been fabricated to support the Seth Rich as leaker story by Fox News undermines further investigation along that path. Further undermining any explanation that involves Seth Rich doing anything other than working in the same office is the one instantly reported hack of the DNC systems. This hack happened literally by mistake, came from the Sanders campaign, resulted in the firing of campaign staffers and lawsuits threats. It was widely reported. It also strongly suggested deliberate hacks by the Clinton campaign against Sanders and was examined in depth by my colleague, Shawn Gaynor, at The Outsider News in December 2015. The leaker of the DNC emails will remain anonymous as long as they and Wikileaks choose to keep it that way. This is because security on that system was provably laughtastic and a 6 year old could have hacked with a Fisher-Price speak and spell. The second claim, that the documents were cut and pasted into a Russian language system to frame the Russians appears solid on it's face. I do not have access to the original source material but I will assume that the normally cautious Nation would have done it's due diligence in verifying such a claim before printing it. What The Nation failed to discuss is who was doing the investigating on behalf of the Clinton campaign. That investigative team came from Fireeye. Fireeye is an intelligence contractor, and they are notorious for blaming every single hack they touch on two groups of Russian Hackers code named Fancy Bear and Cozy Bear. Considering the evidence was altered to better blame Russian intelligence, and the only people who had access to the evidence were an intelligence contractor mildly obsessed with Russian intelligence, I, unlike the Nation, can openly blame Fireeye for fabricating the evidence. Since the DNC was writing the check, the DNC was the true author of the fabrication. What the Nation failed to note was that while the DNC was paying Fireeye to frame the Russians, Fireye's subsidiary Mandiant was working for a Trump connected Russian bank. Mandiant was reported to be investigating suspicious traffic from Trump's servers on behalf of the bank. Their investigation was inconclusive. Slate had an anonymous source for their story on the affair, but the Intercept declined to cover it doubting the veracity of Slate's source and noting that the material provided, which included server DNS logs, was incomplete. Had their been actual proof of Russian hacking, two reputable news outlets could have confirmed it with the help of two CIA connected firms prior to both the Democratic and Republican national conventions. This would have completely changed the course of the election. This was not what the DNC wanted at the time, as their now revealed strategy was to promote Donald Trump as a leading candidate because Hillary Clinton would have had trouble distinguishing herself from a more moderate Republican. This strategy was released in the DNC leak, and not one word of any of the three major leaks has been denied by the DNC or Clinton camps. Not one person has claimed they were not the author of any memo or email contained. When the world awoke surprised and disgusted to be saying President Trump on November 10th 2016, the false narrative was given an extra push. The DNC and Clinton campaign had well developed contacts in the media, ones that suborned the editorial process and even illegally fund raised for her campaign. This communications network re-branded leaks and email hacks by repeatedly blaming “fake news” which most of us all click bait, and “Russian Election Hacking”. The results of this were calls for censorship, followed by actual censorship and more ham fisted intelligence operations to further muddy the waters with misleading information. The goal, insofar as the goal of any irrational cobble of an action can be read, was to distract from the actual content of the leaked information and shore up the failing Center-Right clique in control of the national party against an insurgent center left that is rightfully angry that the majority will of the party was ignored, perverted and undermined. It is the functional equivalent of discussing Edward Snowden's girlfriend's pole dancing rather than his actual leaked documents and it is a distraction from the accelerating rightward course the Democratic Party has taken.